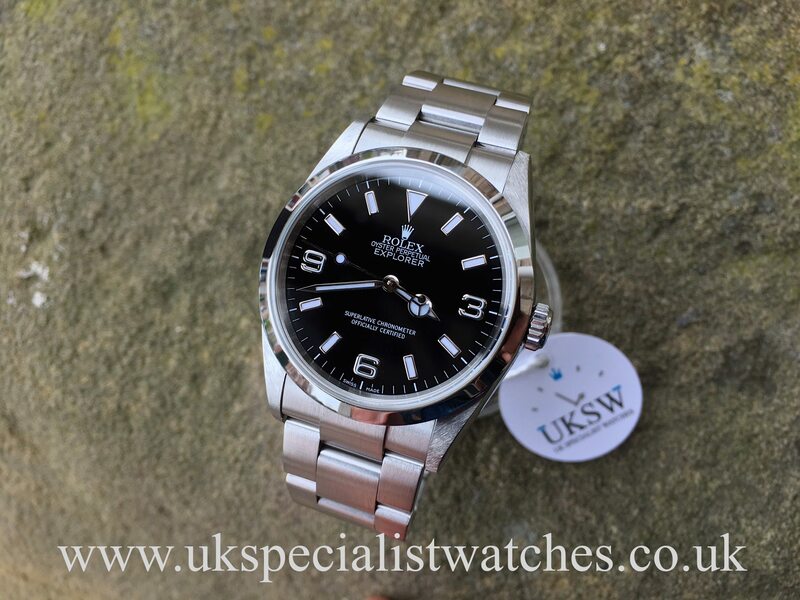 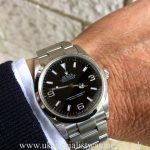 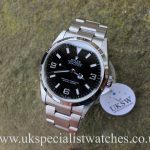 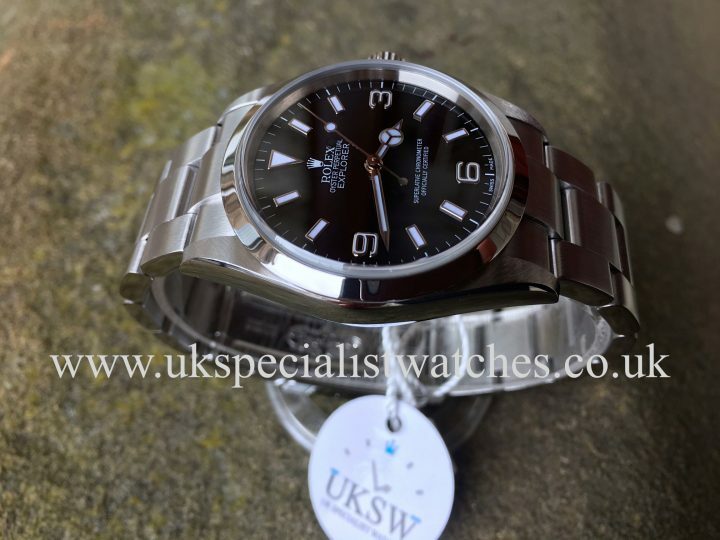 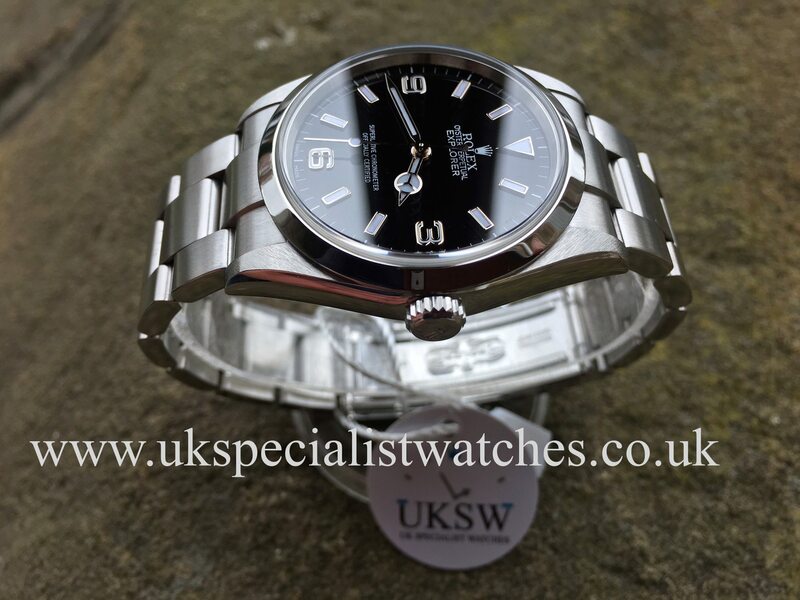 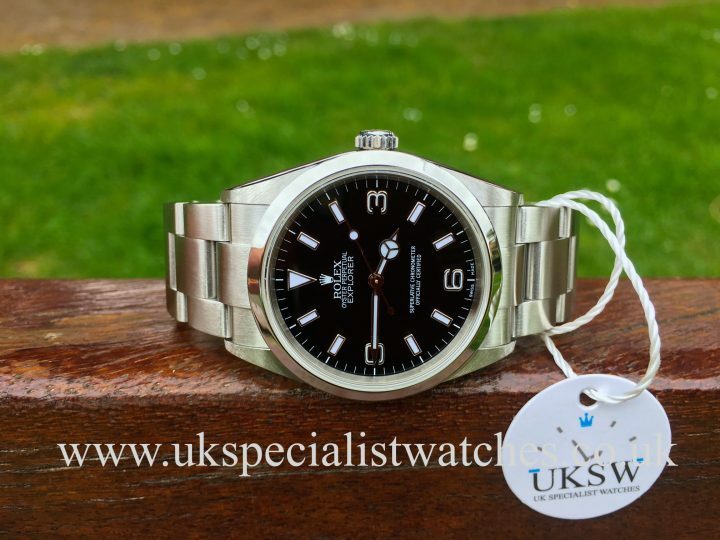 Rolex Explorer 114270. 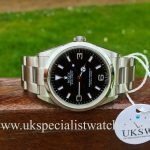 Stainless steel 36mm case, smooth polished steel bezel, Black gloss dial with Arabic 3,6,9 numerals and baton hour markers. 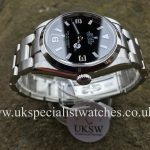 Fitted to a stainless steel Oyster bracelet with a double folding clasp. 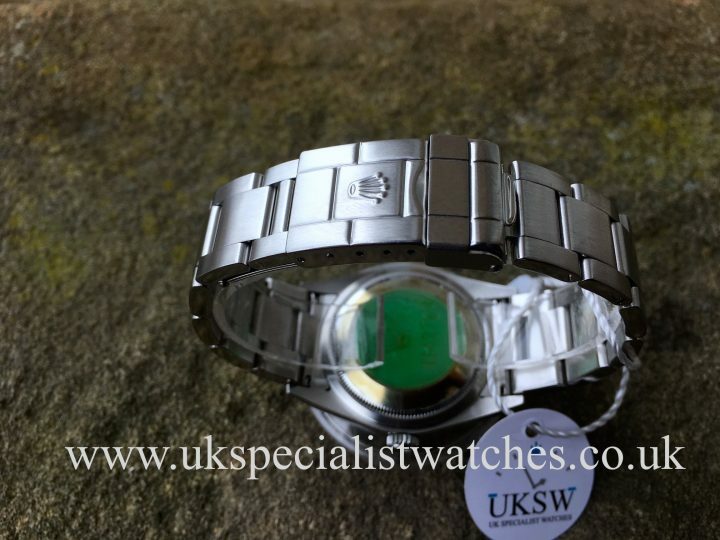 Sapphire crystal glass and water resistant to 100mts. 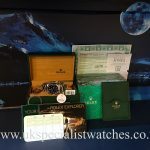 These now discontinued explorers are becoming quite collectable since the introduction of the new larger case model released in 2010. 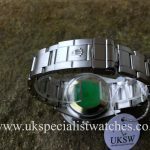 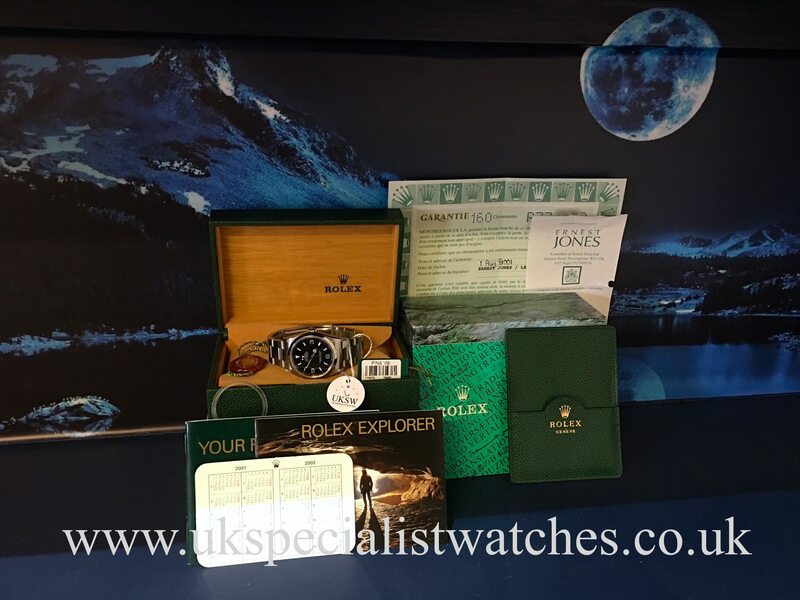 Our pristine example was UK Supplied new August 2001 and comes totally complete with all original boxes, stamped papers, calendar card, translation booklet, bezel cover and both swing tags, also still has the original green case back sticker intact. 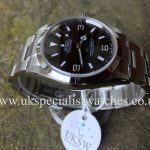 We also have the original receipt from Mapping & Webb.